March and Mock Funeral, Sunday April 27th | Save Griffintown! Don’t forget to come to the Montreal Citizens’ Forum tonight (see previous post). 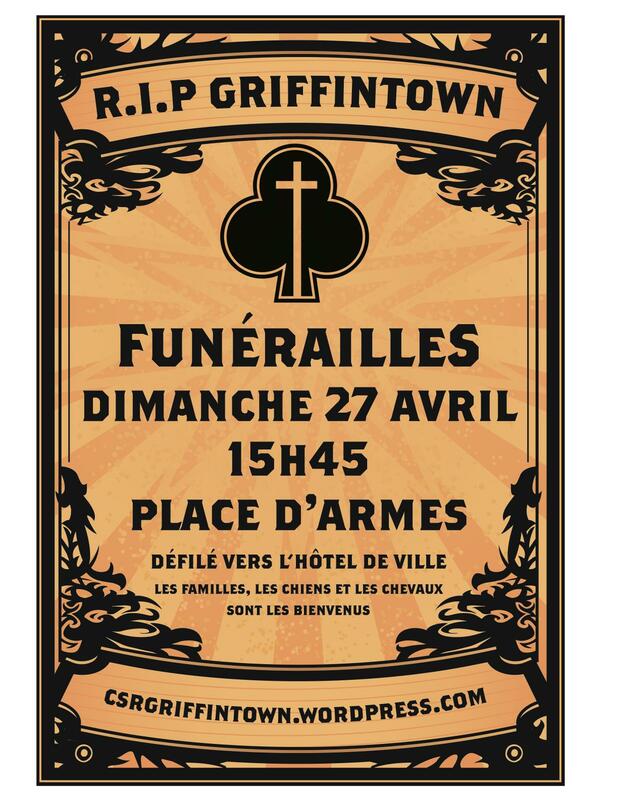 This Sunday, April 27th, there’ll be a march from the Griffintown Horse Palace (1200 Ottawa street, near De La Montagne) to Place D’Armes, and then a mock funeral procession from there to City Hall. Families, kids, dogs, and horses are all welcome. The march starts at 3pm, the funeral procession at 3:45pm. Details at the CSRG blog.